If you’ve been following our blog or newsletter, you may already know that we have not one, but TWO exciting adventures in Bolivia this coming year. In case one adventure isn’t enough for you, we’ve put them back to back so that you can join both! The first trip is our new Bolivia Mountain School Program where you will spend seven days learning the ropes – literally. From rope and belay techniques to glacier travel and safety, this course is perfect for anyone looking to learn the foundational skills of mountaineering. Whether you’re new to the sport or you just want to brush-up on your skills and technique, you will be sure to walk away with practical knowledge that you can apply to your future pursuits on the slopes. At ten days in length, this trip is perfect for people who want to go climbing in South America, but have limited time off. Our second trip is a Berg Adventures classic. 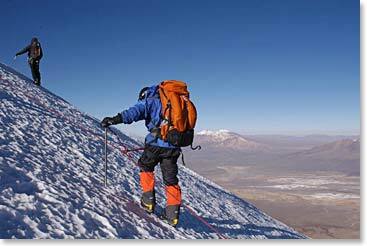 First we climb world-class mountains in the Condoriri Range (usually Cerro Austria and Pequeno Alpamayo depending upon conditions) and then we continue on to climb Sajama, Bolivia’s tallest mountain at 21,486ft/6,549m. While the mountains are fantastic, we also take some time to explore the incredibly diverse cultures of Bolivla by visiting the city of La Paz and acclimatizing along the shores of Lake Titicaca. Last year this trip was featured in Outside Magazine, so you know it’s got to be good! 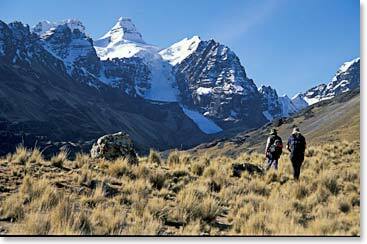 Check-out last year’s dispatches to see just how colorful and scenic Bolivia is! 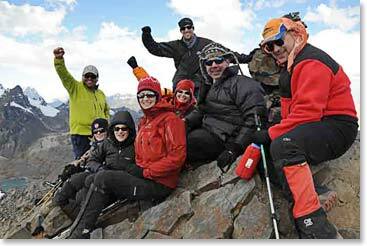 To learn more, visit the Bolivia homepage or contact our office (Sara@bergadventures.com or 866-609-4148). *Dates inclusive of international travel days. 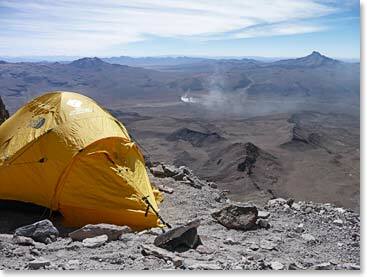 This entry was posted on Wednesday, November 30th, 2011 at 1:35 am	and is filed under Bolivia, Expedition News.